At eighty-eight years old, Agnès Varda is still blossoming as an artist. Long known primarily as a filmmaker, a vocation she took up more than half a century ago, the French iconoclast is now in what she gleefully describes as her “third life,” a period in which her photography, video installation, and sculpture have finally gained international recognition. Last month, Varda visited New York for a revelatory new show at Blum & Poe gallery that spans over sixty years of her creative expression. The works on view highlight both her aesthetic versatility and her affinity for excavating the past to breathe new life into the present. 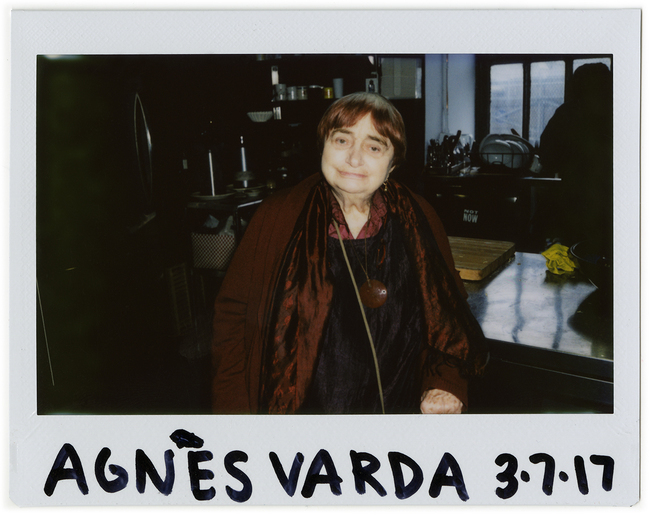 While in town for the opening of the exhibition, Varda visited us at Criterion for lunch and chatted about how her gallery art exists in the context of her career. Featured in the exhibition is a series of photographs that you first displayed in your courtyard over fifty years ago. What was your original experience of showing them like? I made these photographs in 1953 and 1954 and printed them myself in my lab. At that time, I had done fifty, seventy—I don’t remember how many images—and I glued them to a woodlike material. I presented them in my courtyard, hanging them on the walls and the shutters. I was impressed to see them on a clean wall in a beautiful gallery in New York, when originally they were outside for two weeks, whatever the weather. 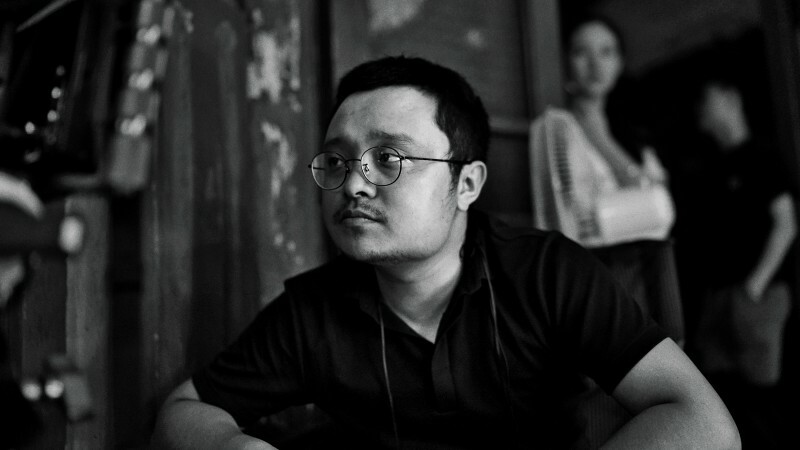 Back then, I didn’t know anybody, and I didn’t ask any papers or journalists to come. I put up papers at the grocery and bakery on the two or three streets around me. People in my neighborhood came to visit, and some were name artists, like Brassaï, who lived next door. Now, fifty years later, the photographs are on a gallery wall and they’re called “vintages”—valuable things—and I feel very odd about that. Can you tell me about some of the other works on view? Blum & Poe asked that the exhibition span from my early works in 1953 to what I’ve done in the last ten years. In the time in between, I have been inventing other ways of sharing images and sound in cinema, and I went from being an old filmmaker to a young visual artist. I especially love the triptych, a form of art used in sixteenth-century Flemish paintings. I try to bring together three images at the same time. In cinema, when someone goes out of frame, you don’t know where that person has gone. I always try to think about this when I see an image; my imagination is bigger than the screen. In my own triptychs, surrounding the central image, I like to be able to open side panels of what would have been off-screen. I did something similar with a photo I took in Marseille in 1956. I was sent to do documentary images of a Le Corbusier building for a magazine, and I went to the terrace and took a snapshot. Every snapshot questions who these people are who happen to be there at that time: Did they know each other? Did they come here together? This inspired a short screenplay I wrote and shot years later, Les gens de la terrasse (2007). I took people I met, who weren’t even actors, and my friend, a set designer, built a wall like the terrace in the photo. Then I asked the people to act out the screenplay as if they were two families having a meeting. Maybe in real life these people didn’t know each other, but I made the screenplay work. 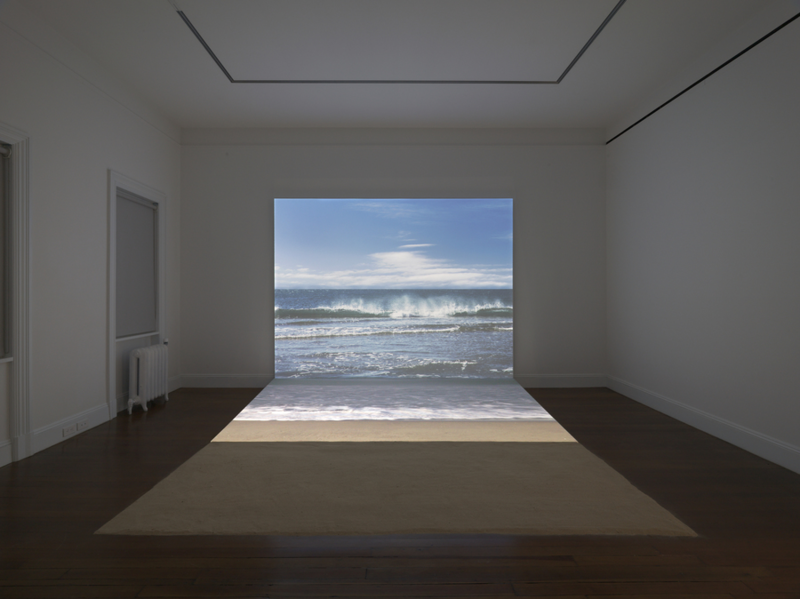 In the gallery, on the same wall, the still image is near the video, at the same size. What is the inspiration behind the maquettes, which are miniature re-creations of larger shacks you’ve built using film stock? I’m very into gleaners, recycling things. And as you know, film screenings have changed so much that now they no longer need film prints—they have DCP. And people watch films on little computers and even on smartphones, which I feel sad about. I feel sorry for all these cans full of 35 mm prints, which inspired me to build shacks out of real film stock. I made one with The Creatures and one with Lions Love (. . . and Lies). It’s funny to think about these films becoming shacks and transparent walls. People can enter and look at the walls and recognize the images. I was careful to put parts of Catherine Deneuve and Michel Piccoli at a good height, so people could recognize them. We all love shacks; as kids, we would make them with fabric in the woods, so it’s like an old childish desire to make them out of leftover abandoned prints. 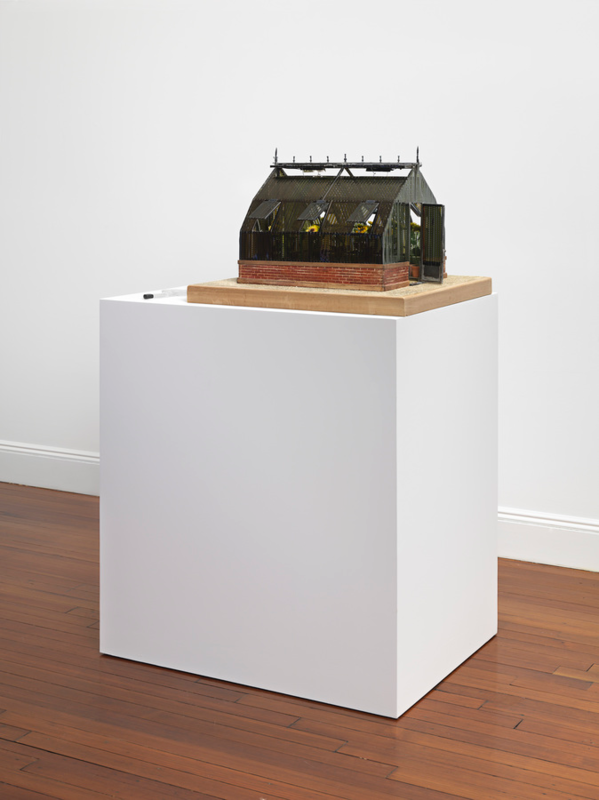 The gallery presents the miniatures, which I made by reshooting the films in Super 8. You seem to be creating a dialogue with the past, reimagining your own installations and photographs. Is this about reclaiming memory for you? My point is not to remember but to revive the past, to make it now. My favorite landscape is the seaside, which I captured in a piece that mixes photography, film, and sand [Bord de mer]. I try to reinvent the photos I’ve taken, turn them into triptychs. The gallery also has three self-portraits: one from when I was twenty, one from when I was forty, and one from when I was eighty. It’s like me saying I’m still here. They show my long life as an artist. I was mostly doing photography in my first life, then mostly making films in my second life, and now I’m mostly making installations—though I just completed a documentary with the artist JR, so I haven’t completely left filmmaking. An audience in a theater is different from the audience coming into a museum or a gallery. I had a big, big exhibition in Paris at the Fondation Cartier, and I also had one where I was born in a neighborhood in Brussels called Ixelles. I’m very happy that people want to show my stuff. It’s an extension of my sides, my arms, my body. 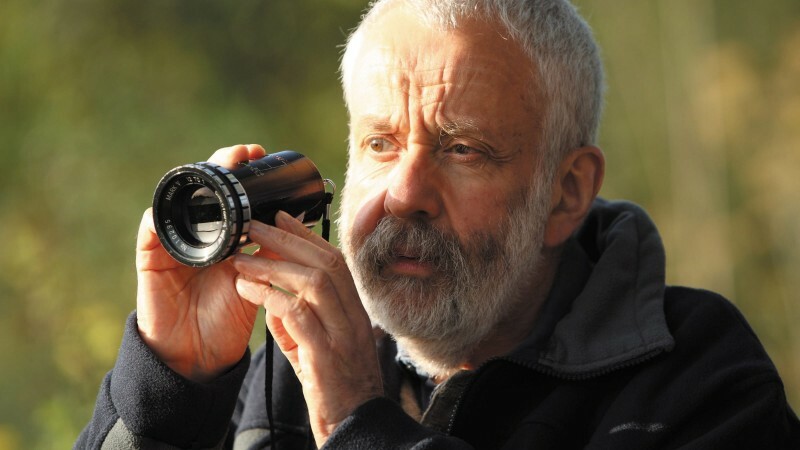 How is your non-film visual art informed by your fifty-year career as a filmmaker? I like to reconcile silver prints with digital, the past with the present. Sometimes I make my work with 35 mm negatives and video, mixing black-and-white and color, still images and movement. At the end of my life, I don’t want to say cinema is against video. I want to use all of these things and play with them and keep my wish to touch people. Not to make them cry, but to touch their sensibility. I’m putting together elements that touch your memory of your own life. I want people to get back to themselves; I don’t want to impose anything. How do you feel looking back on those photographs from your courtyard? I feel old; I’ve learned a lot, suffered a lot, enjoyed a lot. But I think I’m blessed in the last part of my life to get so much understanding and so much love for my work. I think I’m spoiled, in a way, because I could just be home waiting for my children to visit me and watching TV and sleeping half the time. I’m almost eighty-nine, and I have an incredible, exciting life, so I feel very lucky. I’m most touched when I meet people in the streets who say, “Thank you, you gave me a lot of happiness.” More than when they say “Bravo.” I think it’s more touching to get a “Thank you,” no? 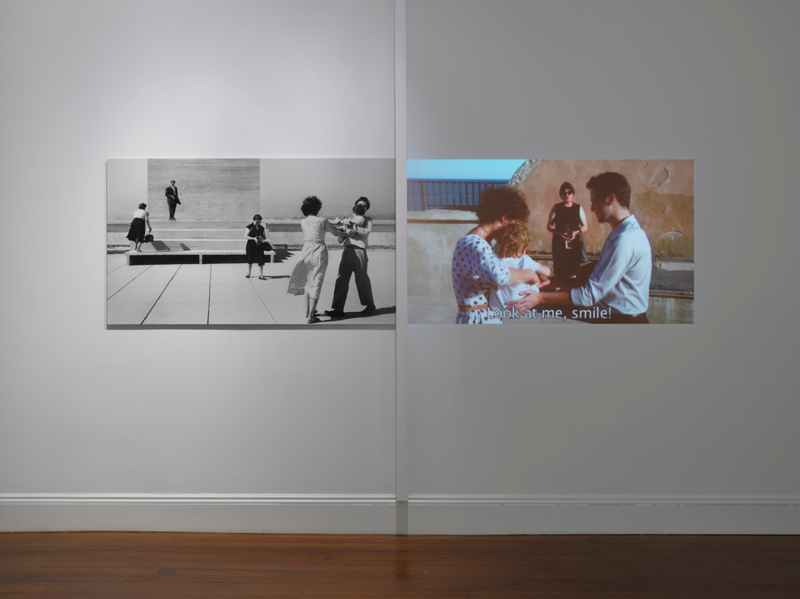 All images courtesy of Genevieve Hanson © Agnès Varda Courtesy Blum & Poe, Los Angeles/New York/Tokyo.